Arthritis characteristically involves the inflammation of one or more joints. This disorder is often painful and can prevent those with it from participating in normal daily activities. Sometimes, arthritis can be so severe that it becomes too painful to even walk. 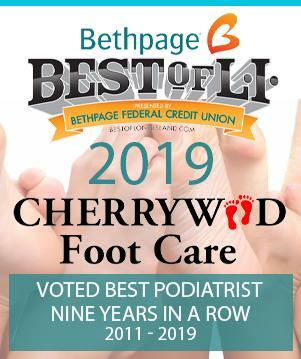 Cherrywood Foot Care‘s team of board-certified podiatrists understand just how debilitating arthritis can be. They also know how to effectively treat this disorder. Arthritic patients exhibit a host of symptoms and require a comprehensive assessment before the best treatment options can be determined. Many patients who must undergo surgery to correct arthritis in their feet are diabetics who have a type of arthritis, known as Charcot foot. The bone in the foot become soft due to significant nerve damage. The average age of patients developing a Charcot foot is 40 years. About one-third of these diabetic patients develop a Charcot foot in both feet and/or ankles. This form of arthritis can develop suddenly and come without pain. The bones in the foot and/or ankle may spontaneously fracture and fragment, often causing a severe deformity. The arch of the foot often collapses, and sensitive pressure areas may develop on the bottom of the foot, leading to open sores or ulcers.